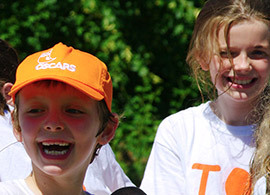 Welcome to OSCARS 2019 Holiday Programmes and to a choice of exciting fun filled activities. 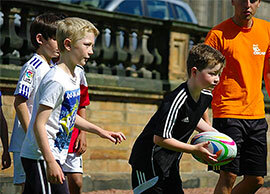 As well as being a leading childcare provider of After School Clubs and Breakfast Clubs our Holiday Programmes during mid term, Easter and summer holidays take place at up to 7 different venues around Edinburgh and Glasgow. Our first venue opened in 1992, and in this our 28th operational year, all our experience will go into creating fun filled, exciting and safe environments for children, whilst offering parents total flexibility. A 10% early booking bonus is available until 28 February 2019. No further price discounts will take place after that date. Please click above for further information on each venue, including programmes, excursions, relevant parent information, prices, booking details and terms & conditions. 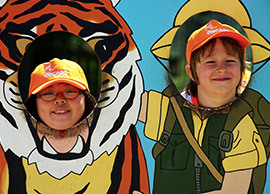 2019 is our 28th operational year and throughout the decades we have been committed to operating exciting fun days for children whilst providing a safe and flexible service for parents. We never stand still though and in 2019 we are continuing to expand our activity list and develop such popular sessions as Go Karting, Zorbing and our Swimming options. 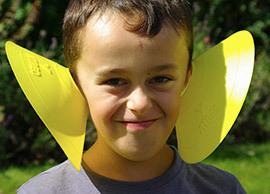 New activities include Silent Disco, Indoor Curling and OSCARS Olympics. We are looking forward to welcoming back old friends as well as new faces to our holiday programmes – we will ensure they have a memorable and worthwhile time and return home at the end of each day safe, sound, tired but most of all happy. 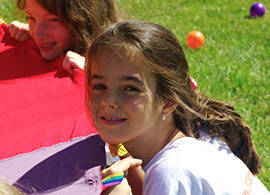 When the first day camp opened in 1992 our aim was to provide children and teenagers with the opportunity to experience fun and new activities, improve existing skills, and develop new friendships in a safe, happy environment. For parents we wanted to offer reliability, flexibility and security in the quality of care given. To this day, these remain the guiding principles on which we base our success. We pride ourselves on having no hidden charges. All OSCARS prices are listed and are exactly what you pay, helping clients set a clear budget. Our flexibility means that children can be dropped off from 8.00am and collected as late as 6.30pm – long opening hours that are part of our service and included in the price. Please see centre location pages for specific venue times. Each year we look forward to welcoming back old friends and meeting new ones. From the shyest 5 year old to the liveliest teenager, we hope that your children will join us in 2019 and that they have memorable Easter and summer holidays courtesy of OSCARS. All staff are required to register with the PVG scheme or update their PVG scheme record before they commence work with us, and two references are checked . 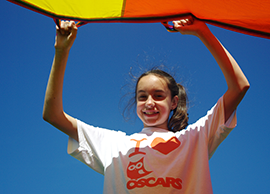 The locations OSCARS utilise all offer good facilities with indoor and outdoor play areas. Blocks of classrooms are all located together and used as base rooms and art facilities. All the locations are within close catchment areas of our after school club bases and offer easy and safe drop off/collection criteria.